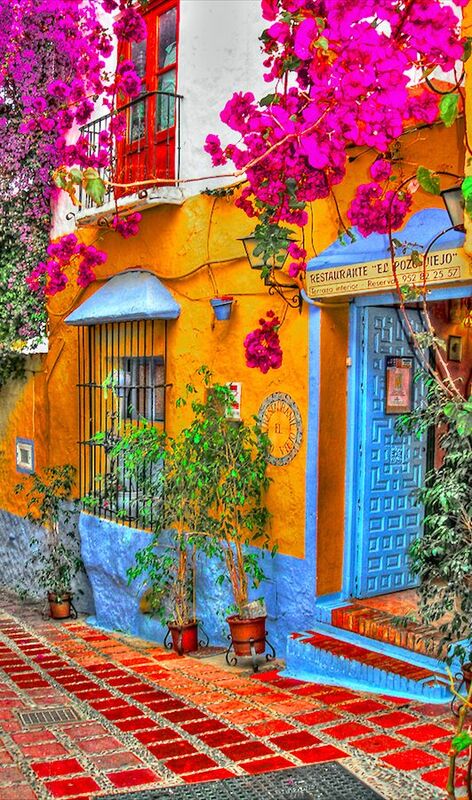 Its Friday and I want to escape to somewhere colorful, inviting, relaxing and vibrant. This brilliant little restaurant in Marbella fits the bill perfectly. Amazing food, laughter, a little wine perhaps and some impromptu dancing, sound exactly what the weekend was made for. Won’t you join me? Lovely photo! Sounds like good fun to me! It caught my eye as well! Such brilliant colors!